Obscurely, emeritus linguistics professor, Vera John-Steiner, passed away earlier this month. Her obit caught my eye in a scan of the deeper recesses of my news feed, and as I read the notice, I knew why. She was a key editor and collaborator on Mind in Society, the seminal English translation of Lev Vygotsky’s groundbreaking (and still controversial) works in education psychology. Vygotsky upended prevailing thinking about how children acquire knowledge by exploring the impact of social interactions on learning. Specifically, he posited that children develop the tools of social interaction and establish social relationships well before they develop cognitively as individual learners. Who cares about this arcane corner of education theory? Well, everyone should! Because the increasingly lauded new methodologies of classroom learning in 2018, from elementary school through higher education, derive directly from Vygotsky’s Social Development Theory of the early 1930s. Flipped classrooms, blended instruction, collaborative and self-directed learning, and instructors as facilitators, all fit neatly into the social learning contexts that Vygotsky observed, where students play an active role in their learning, instead of being passive receivers of expert knowledge. Let me pause here in my enthusiastic ruminations on modern education methodologies and say that many, probably most, teachers continue to lecture in the transmission style and don’t use these techniques at all. Why? 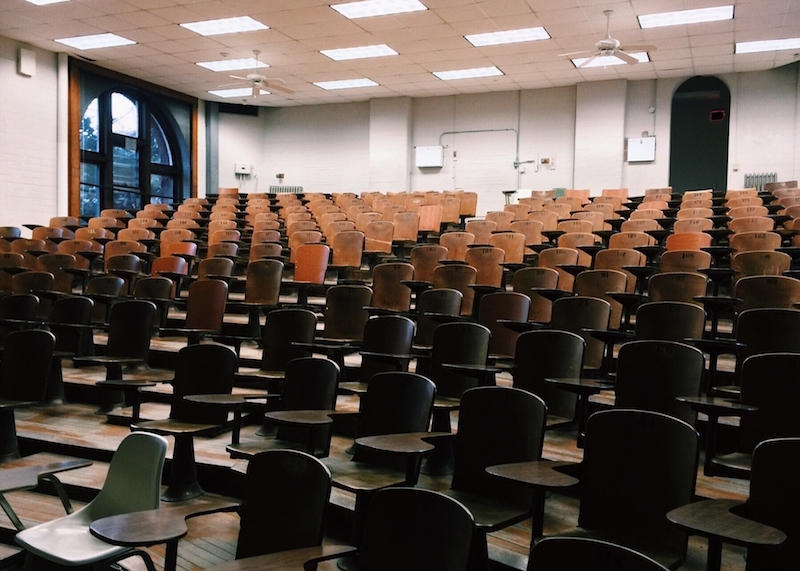 Because lectures solve two problems that more interactive, social, self-directed learning methods don’t solve — scale and reach, both of which contribute savings on the bottom line. But do they work? Maybe, but likely the same way that viewers process a nightly news broadcast, with no promotion of thought. Lots of people can listen to a lecture, and because of video recording and the Internet, we now have Massive Open Online Courses (MOOCs) that further expand on this style of teaching. MOOCs promise free, global education and – in the best case – use techniques to allow students to practice and get immediate feedback for their efforts, which is one of the ways that learning can be cemented. However, MOOCs have not generally lived up to their promise to high quality learning to everyone everywhere. Most of these courses rely on hours of talking head video content — yep, lectures — to deliver the information in the first place. AND, this is seen as an improvement over text-based content, which people have to read rather than watch. While completion statistics don’t tell the whole story, they should at least give you a sense of the issues facing MOOCs. A 2017 article in EdSurge tries to put a positive spin on 5% completion rates, but mostly MOOCs fail the scale and reach test by not actually getting students through a measurable learning event: an online certificate or other credential. A more recent incarnation of the MOOC idea is the Online Professional Course (or OPC). In an OPC, online program management companies offer courses from prestigious universities continuously throughout the year and heavily supported by smart, but cheap, labor from regions like South Africa and North Dakota. For the most part, these courses are exactly the same as their MOOC counterparts. But, much higher prices ($2000 vs. $50), capped enrollments (300 vs 3000), and motivated course staff whose entire job is to keep people in the class and on the path to completion make the experience substantially different. Completion rates: 80-90%. No advanced tech here (well, except maybe the precision data-driven marketing driving enrollments), just humans. So, what have we learned about learning? As we progress with technology and integrate antiquated lecture-style educational practices with it, there continue to be profits and losses – both literally and figuratively. But what about social, collaborative learning — getting back to Vygotsky? Can you replicate the magic in a bottle that is the social context of face-to-face learning environments? How do you enable meaningful peer-to-peer interactions online? Is anyone doing this – and doing it well? The Riff Platform seeks to empower the individual to learn more about themselves as collaborators, across work and learning contexts. Social cues, usually observed during in-person encounters, provide people with feedback about the impact of their contributions. Positive feedback encourages higher energy dialog and further investment in collaboration; negative feedback generally causes people to retreat into their own isolated thinking. Through real-time and cumulative insights and interventions, the Riff Platform uses passively collected data to build a model of each participant in their interactions to help them understand how to work better in collaborative environments. Riff Learning is just one of the platforms to come out of the MIT Media Lab. Another is the Unhangout project, described as “…participant-driven, community-based learning, rather than top-down information transfer.” It’s a video tool that makes it easy to move from broadcast to small group interactions in the course of one session to support both instructors and students equally. Social, check. Self-directed, check. Collaborative, check. And still another service promises to match the right teacher or facilitator and teaching modality for you, with no pesky college to act as an intermediary or credential granting body. Through ODEM.io (which recently announced a splashy public ICO), learners can get bids for custom curricula; teachers get royalties for all original content; all participants are part of an ecosystem designed to cut costs and deliver value to both parties. Each of these tools offers its own unique spin on decentralizing education delivery to facilitate new learning models. Exciting to watch – and would certainly make Vera John-Steiner and Lev Vygotsky proud.